Gov. Steve Beshear and U.S. Rep. Hal Rogers joined the SOAR Executive Committee to launch a summer internship program through the Shaping Our Appalachian Region (SOAR) initiative, in partnership with Eastern Kentucky University and the University of Kentucky Institute for Rural Journalism and Community Issues. EKU committed $20,000 to support five interns who will work directly with each of the 10 working group chairs until August. The interns will support each group by communicating progress and discussions in an effort to promote transparency and increase citizen participation in the SOAR initiative. Additionally, a UK graduate student will work directly with communications teams from the offices of the Governor and Congressman to assist with media relations. Also today, Gov. Beshear and U.S. Rep. Rogers met with the executive committee and working group chairs to discuss the structure and bylaws of SOAR, the next steps for the working groups and initiating the search for an executive director to be in place later this year. He or she will organize a second SOAR summit to be held this fall. With an overwhelming response to help shape the future of Kentucky’s Appalachian region, 250 people are now involved in the initiative’s 10 working groups and executive committee. Those individuals are leading discussions focused on the region’s future economic well-being and quality of life. Based on citizen and organizational input, the groups will identify significant opportunities and a long-term vision related to their topics. The working groups’ focus areas include broadband; agriculture, community and regional foods; business recruitment and incubation; education and retraining; and health. Groups also include infrastructure; leadership development and youth engagement; regional collaboration and identity; and tourism, including natural resources, arts and heritage. To help carry the mission forward, East Kentucky Power provided a contribution of $5,000 to support various SOAR meetings and activities this summer. The Kentucky Campus Compact has also committed multiple VISTA volunteers to support SOAR committees, operations and communications for one year, starting in July. The VISTA positions are part of a project called “Toward a Sustainable Kentucky” or TASK. To learn how to become a VISTA member, contact Kristen Hedgebeth at Kristen.hedgebeth@kycompact.org. 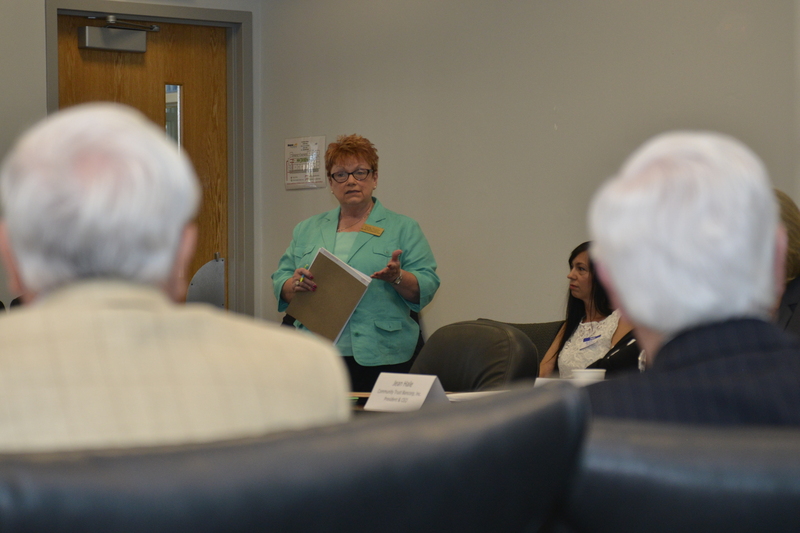 The next SOAR joint committee meeting is tentatively scheduled for July. For more information about SOAR, visit http://governor.ky.gov/soar/ and follow SOAR activities on Facebook @ShapingOurAppalachianRegion and on Twitter @SOAR_EKY. To contact the SOAR office, call 606-444-5127 or 606-437-5127.